Maintaining a proper data backup system is one of the most important parts of business continuity, even if it’s something you’d rather not think about. If you don’t take data backup seriously, your organization is at considerably greater risk compared to what it would be like if you had it. We’ll walk you through the proper steps toward making your organization’s future more secure through data backup. Data Backup vs Disaster Recovery: What’s the Difference? Some organizations use data backup and disaster recovery as if they are interchangeable, but the fact of the matter is that they are two very different things. In reality, data recovery isn’t possible without data backup, and vice versa. Data backup consists of actually creating the record of your data to be restored at a later date, whereas disaster recovery is how and when you restore the data from the data backup. Basically, one of them can’t happen without the other, and they are both integral parts of the business continuity process. Of particular note when considering data backup is what data will need to be focused on in order to ensure minimal operational deficiency during the restoration period. In other words, how much data is acceptable to get back into a situation where your business can operate as intended? A good rule to practice is to back up enough so that you can get back in action following a disaster with minimal downtime. Remember, the best backup system is one that happens automatically, so think about how the process is being initiated, too. The ideal solution is one that isn’t affected by user error. 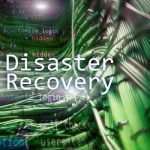 Disaster recovery is focused primarily on how long it takes for a restoration to occur. In other words, how fast can you get back to a decent state of operations following a disaster so that you’re not operating at a loss. A significant part of this process is ensuring that you have access to a data backup in at least three locations: one on-site, one in the cloud, and one located in a secure off-site data center. You should also consider testing your backups regularly to ensure that they will occur without a hitch, meaning that you won’t find yourself between a rock and a hard place when your backup system fails in the future. ActiveCo Technology Management can help your business implement an all-in-one Backup and Disaster Recovery (BDR) solution, enabling even a small business with a limited budget to maintain a proper data backup system. You’ll be prepared for even the worst circumstances. To learn more, reach out to us at 604.931.3633.